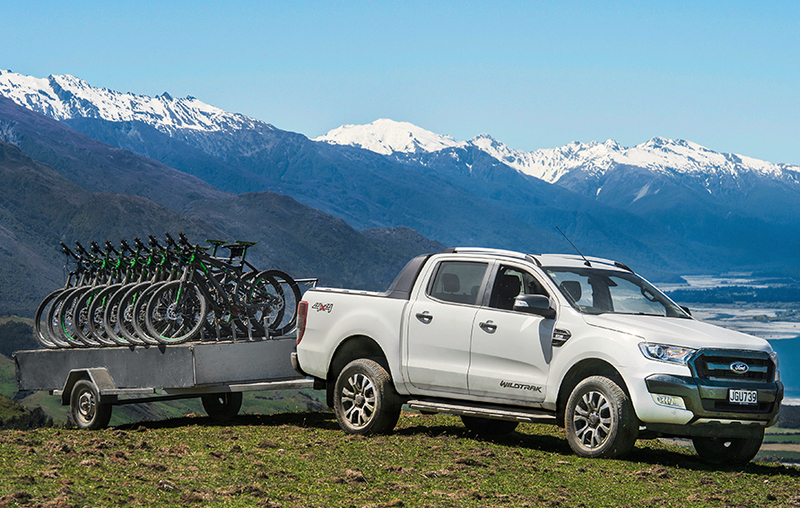 The Ford Ranger is the only model to have broken the 1.000 monthly sales milestone in NZ. New vehicle sales in New Zealand shoot up 7.9% year-on-year in May to 14.169 units, a new record for the month, with passenger cars up 10.6% to 9.276 and commercials including pickup trucks up 3.1% to 4.893. The year-to-date volume is now up 2.7% on the previous record established in 2017 to 64.985 units with passenger cars up 1.3% to 43.386 and commercials up 5.7% to 21.599. Brand leaders Toyota (18.1% share) and Ford (11.4%) both follow the market with a 8% year-on-year gain, distancing Mazda (+0.4%), Holden (+4%) and Mitsubishi (+1%) all losing share in a Top 5 unchanged on April. Hyundai surges 39% to #6, with Nissan (+17%) and Kia (+13%) also posting double-digit gains in the Top 10. Further down, Peugeot (+182%), LDV (+114%), Land Rover (+29%), Jeep (+28%), Honda (+25%), Mini (+25%) and Subaru (+13%) impress. Over in the models ranking, the Ford Ranger soars 14% to 1.017 sales and 7.2% share, only the second four-digit monthly volume ever hit by any nameplate in New Zealand, with the record being held by the Ranger itself at 1.178 sales in June 2017. Far below, the Toyota Hilux skids down a painful 29% to 4.1% share but the Toyota Highlander rallies back up 137% to #3 and the Nissan Navara is up 91% to #4. The Mitsubishi Triton (-13%) and Holden Colorado (+22%) make it an incredible five pickups in the May Top 6, with the Toyota RAV4 (#7), Mazda CX-5 (#8) and Kia Sportage (#9) relegating the best-selling passenger car, the Toyota Corolla (+5%) to the 10th spot. The Holden Captiva (+77%) and Suzuki Swift (+70%) are also in great shape while among newcomers, the Hyundai Kona (#20) remains in the Top 10 and the Mitsubishi Eclipse Cross (#25) in the Top 30. Full May 2018 Top 70 All-brands and Top 35 models below. New Zealand 2006: Commodore & Corolla only 79 sales apart!